Carrie Clark, assistant professor of educational psychology, is using functional MRI technology to capture brain activity while children learn mathematics. What is 72 multiplied by 12? While fourth-graders will focus on arriving at the correct answer, Nebraska researcher Carrie Clark wants to know what happens in the brain as they learn to solve the problem. Clark, assistant professor of educational psychology, is using functional MRI technology to capture brain activity while children learn mathematics. Funded by the University of Nebraska–Lincoln’s Office of Research and Economic Development and housed at CYFS, she is exploring the relationship between children’s mathematics learning and executive function — the ability to maintain focus and behave in a goal-oriented way. It is a new application of fMRI technology in the relatively new field of research: educational neuroscience. The children who actually learned the binary number concept showed different brain activity, Clark said. Those who understood the concept showed increased activity in the left inferior prefrontal cortex — an important region of the brain for concept integration and modulating attention to better focus on something. “We think what’s happening is that kids who are learning more effectively are good at knowing when to deploy those cognitive resources to learn,” she said. Researchers also found the children who learned the binary number concept showed more cross-talk among areas of the brain linked to executive function — more brain connectivity. Changes across the learning cycle were also identified. As the children learned, they initially showed more activity in the prefrontal cortex — a brain region important for executive function — when they watched videos about familiar decimal numbers. But by the end of the task, Clark said, that activity had gone away and was present only for the new binary concept. 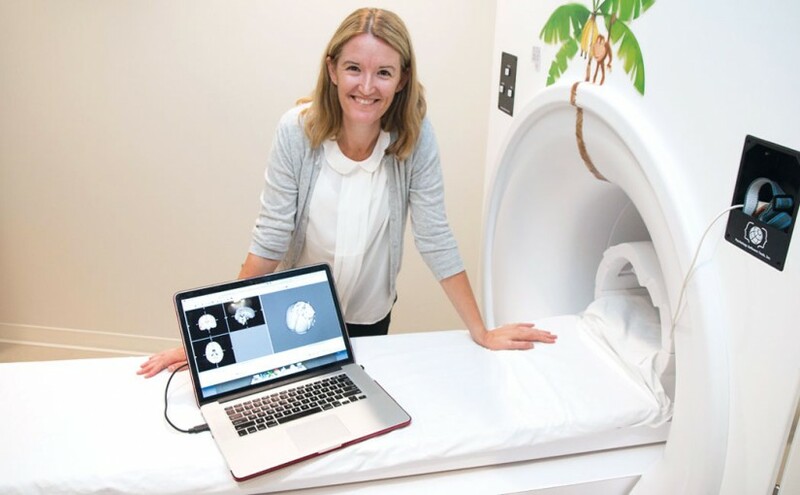 Clark hopes eventually to have children struggling to learn math perform the same tasks in an MRI scanner to better understand their brain activity during the learning process. Such research may help researchers determine how to manipulate tasks to generate the same type of neural activity as children who are learning effectively, which could provide an invaluable tool for educators seeking to tailor teaching strategies. Children sometimes fall out of the mathematics curriculum, she said, partly because mathematics is so hierarchical — a firm grasp of one concept is needed to move on and effectively learn the next concept.